Events spread over a period of five centuries and involving four continents; vehicles of investment or speculation ranging from equity to fixed income to derivatives to real estate to…hold your breath…tulip bulbs! The market prices of instruments fluctuate wildly during these events, giving rise to numerous theories on what could and should have been done to preempt them. But why do these events keep recurring from time to time? Is it possible to foretell such episodes? Can they really be preempted? When such market tsunamis occur, large and small investors, alike, burn their fingers. Governments and regulators try to intervene with measures that seem too little, too late. Great nations are brought to their knees while they seek out someone to blame in the aftermath. Against this backdrop, what should investors do? What are the lessons they can learn? A veritable page turner, Riding the roller coaster is packed with information and insights on the subject and yet extremely lucid to read. It talks to simple investors, narrating, cautioning and advising in its uniquely wise and witty tone. 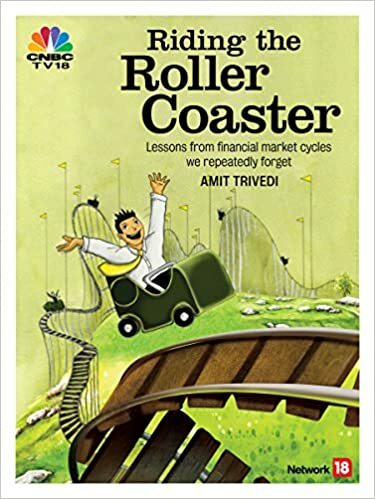 As a “seat-belt” for the next financial market roller-coaster ride, and all those that will follow, this book remains evergreen and begs revisiting from time to time to ensure that we refresh our memory of Lessons from financial market cycles we forget.